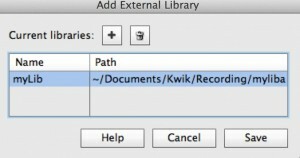 With this short tutorial, you learn how to use your own lua library to insert to Kwik. external code is in mydebug.lua that uses mylibrary. It is just one line code. you can find mylibrary.lua and mydebug.lua in the following zip. 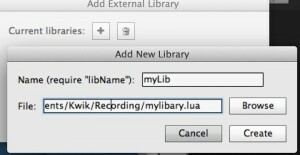 Now you know how to extend Kwik generated lua files with your own codes .